Hamish Napier is a pianist, singer, flautist and whistle player from Strathspey, Scotland. He has been taught by top Scottish whisters Iain MacDonald and Marc Duff amongst others. 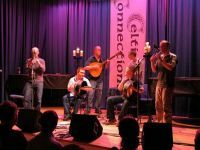 He was a finalist in the 'Young Scottish Traditional Musician of the Year Award 2006', was nominated for 'Best Up and Coming Artist' at the Scots Trad Awards 2005 and is also a previous winner of the 'All Britain' whistle competition. 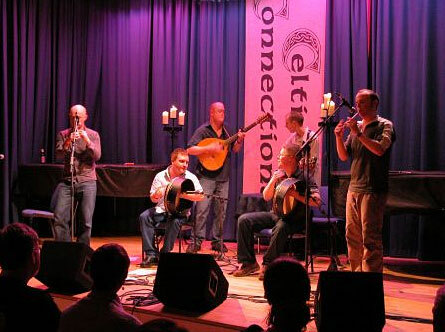 Hamish performed alongside virtuoso whistler Brian Finnegan in the 'Master and Apprentice' whistle and flute concert at Celtic Connections 2003. He has recorded on over a dozen albums of Scottish traditional music including three with multi-award winning folk group Back of the Moon. He has taught whistle at the National Centre of Excellence in Traditional Music in Plockton for three years. "I started playing Colin Goldie's whistles in 2002 and have recommended them to all my whistle students ever since."